OPEC is closely following the protests in Iran and the economic struggles of Venezuela, but the cartel will not intervene in the market by ramping up supply unless significant prolonged production disruptions in those two countries occur, Reuters reported on Monday, citing a senior OPEC source from a major Middle Eastern producer. “Even if there was a supply disruption (from Iran or Venezuela)... OPEC will not raise output,” the senior OPEC source told Reuters. 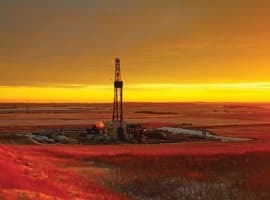 “OPEC’s policy is to bring inventories down to their normal levels and will stay the course, unless the disruption in supply of something like 1,000,000 barrels per day persists for more than a month, and causes shortages of crude supply to consumers,” the source noted. Oil prices ended 2017 on a higher note, with the Forties Pipeline shutdown and a Libyan pipeline outage in the second half of December. Then at the beginning of 2018, the price of oil continued to rise as protests in Iran spooked the market, with oil prices making their best start to a year since 2014. Although analysts don’t see Iranian unrest directly hindering Iran’s oil production, some think that the protests and their clampdown could embolden U.S. President Donald Trump to refuse to waive the sanctions on Iran’s oil and energy industries later this month. Venezuela, for its part, is woefully short on cash, gasoline, and pretty much everything as its economy continues to collapse while President Nicolas Maduro tries to service sovereign bond payments and those of the state oil firm PDVSA. Venezuela’s oil production has been falling steadily over the past months, and OPEC’s crude oil production remained largely unchanged from November in December, mostly thanks to a 50,000-bpd decline in Venezuela’s production, a Bloomberg survey showed last week. 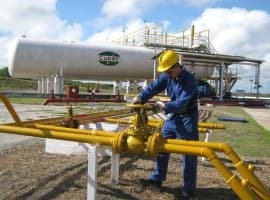 According to an S&P Global Platts survey released on Monday, Venezuela’s oil production dropped by even more than the Bloomberg survey showed—100,000 bpd on the month in December to 1.70 million bpd—the lowest level since a major strike affected the country’s industry in December 2002-February 2003. Not counting strike-affected months, Venezuela’s crude oil production was last this low in August 1989. Experts think that the chances of Venezuela lifting its oil production in the near term are very slim, according to S&P Global Platts.